Make it a Masterpiece! 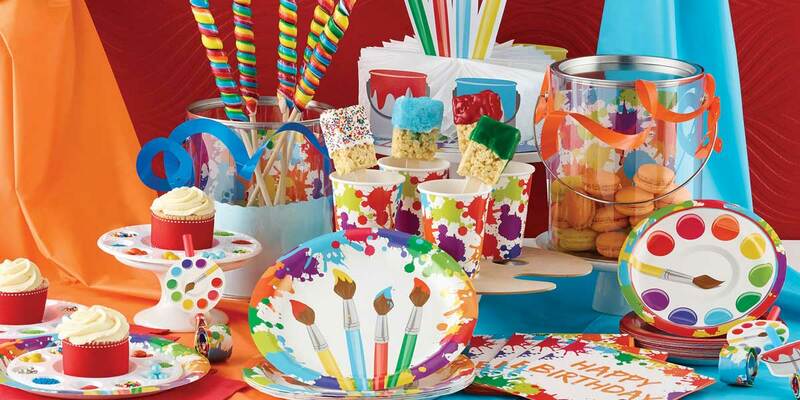 Perfect for young artists, the Art Party design is ideal for today's trendy hands-on arts and crafts parties. Splattered with brilliant paints with plates and accessories designed to look like palettes, this setting is filled with creative spirit. A dash of Orange and Bermuda Blue from our Solid Color Tableware collection add the finishing touches to this colorful ensemble.